The county has also filed a motion to compel stating the Bland family “has not produced a single document or piece of evidence to Waller County.” The lawyers have asked the judge to order the plaintiff to answer the request for disclosure and request for production served on her by the county. The county urges that the plaintiff mother has also not provided a computation of the damages sought. As reported by Breitbart Texas, in August, Bland’s mother, Geneva Reed-Veal from Naperville, Illinois, filed a federal civil rights lawsuit on behalf of herself and Bland’s estate. Bland committed suicide in a Waller County jail after being arrested on July 10 by Texas Department of Public Safety (DPS) Trooper Brian Encinia. 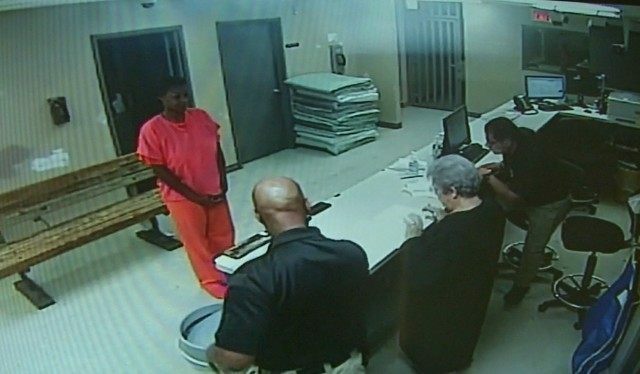 The county urges in their motion that Waller County and the two jailers had no involvement in the traffic stop, or the arrest of Bland, or in her transport to the jail. In addition to suing the county, the Bland family has sued two employees, Oscar Prudente, and Elsa Magnus, that work at the jail. The lawyers that filed the motion asking the judge to dismiss the case against the jailers and the county, do not represent DPS trooper Encinia, or DPS. DPS and the trooper have also been sued by the family. The defense is asking for dismissal saying that jailer Prudente performed an initial intake screening in which Bland confirmed she was not suicidal. Bland told Prudente that she had attempted suicide after losing a baby in May of 2014. Approximately three hours later, Magnus finished the booking process and performed another suicide screening. At that time, Bland again confirmed she was not suicidal but acknowledged the prior suicide attempt after losing a baby. The motion asking the judge to dismiss the case states that the screening officers observed that Bland was angry about the arrest but did not appear depressed or suicidal. They urge that based on Bland’s answers to the screening questions, and the screening officer’s observations of Bland, she was not identified as a candidate for suicide watch. She was also classified as “medium-assaultive” under Texas jail standards and was assigned to a group cell. There were no other female detainees who shared that classification so the cell was empty. The defense motion urges that Bland was given “numerous free phone calls on their staff phone on Friday and Saturday.” Detainees generally are required to use a phone with a pin account charged to the detainee. They say Bland also had access to a phone in her cell with which she could make unlimited collect calls. A magistrate set Bland’s bond at $5,000 midday Saturday after her arrest. Defendant county and jailers through their lawyers urge that she could have bonded out any time for $515. Bland made several calls to family and friends but no bond was posted. The defendants argue that Bland exhibited no signs of suicidal tendencies through the weekend. She committed suicide on Monday July 13, by hanging herself in her cell between 7:55 a.m. and 8:58 a.m. The county has asked the judge to dismiss the lawsuit against the county and the two county jail employees because the jailers did not have any subjective knowledge of, and were not deliberately indifferent to any alleged serious risk of suicide. The jailers urge that they are entitled to protection under Texas law because they are entitled to qualified immunity because their actions did not violate clearly established law and their actions were objectively reasonable. Waller County, and jailers Magnus and Prudente are represented by Beaumont, Texas, lawyers, Larry J. Simmons and B. Eliot New.